Who would not love to put on a pair of sleepers in the morning after they wake up.That feel like you are walking on a pillow of clouds? Nature's Sleep Memory Foam Slippers makes a perfect gift for your loved one for Christmas.Enter to win one for your very own to keep or to give to one of your loved ones. 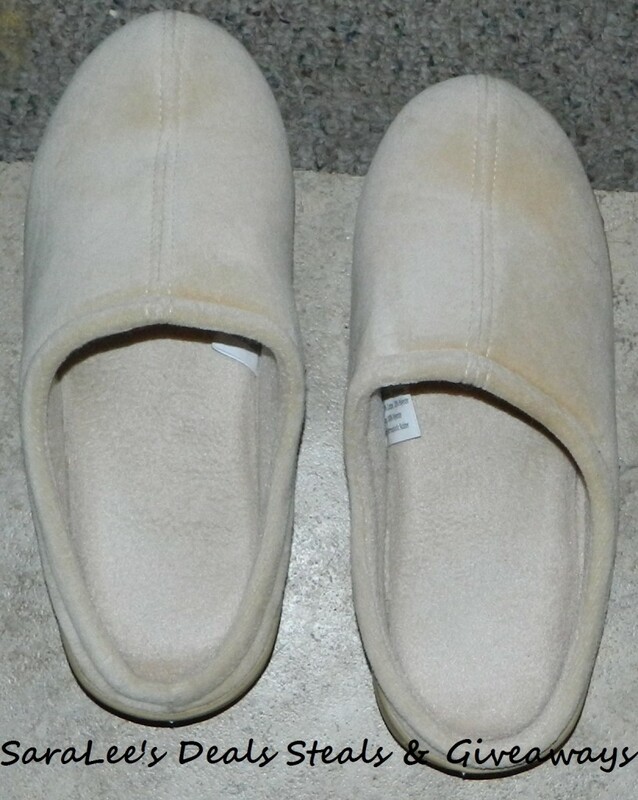 Nature's Sleep: Closed Toe Memory Foam Slippers - Plush comfort and luxury with every step. Indoors or out, these closed-toe slippers offer the perfect balance of softness and support in thanks to the visco-elastic memory foam inner sole, which cradles and contours to your feet while absorbing pressure and impact. Now for the giveaway: One lucky person will win a pair of Nature's Sleep memory foam slippers. This is open to US, 18+ and ends 11/25/2013 @ 11:59 pm est. To enter, Simply do the tasks on the Giveaway Tools widget below and you're set to have a chance to win!